Scuttle: A Little Bit of Fashion & Alot of Sparkle: Paperlust. 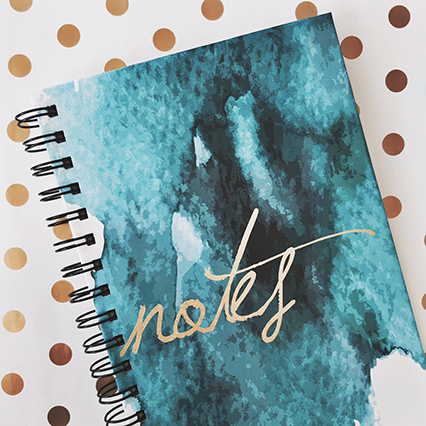 There are a few things in life that I am a huge sucker for: polka dots, the tasteful use of glitter, a good cappuccino, cute paper goods... just to name a couple. So I am beyond excited to share with you some fabulous paper goods that fit into that category! 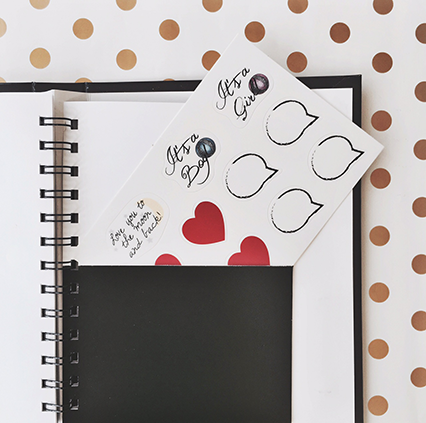 There is a gorgeous online shop called Paperlust Studio & it has some of the most adorable paper goods that I am head-over-heels for. The shop is ran by Colette who is one of the sweetest ladies around. She designs all of the beautiful products in her shop & oversees the handmade creation of each (all while having twins!). 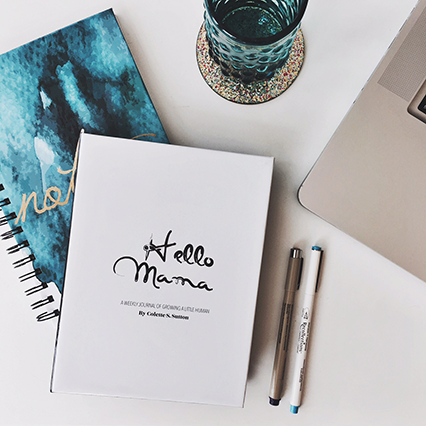 The company started out by a frustration of not being able to find a pregnancy journal that she liked to chronicle the pregnancy of her kiddos. So being the true go-getter that she is, she just went out & made her own! 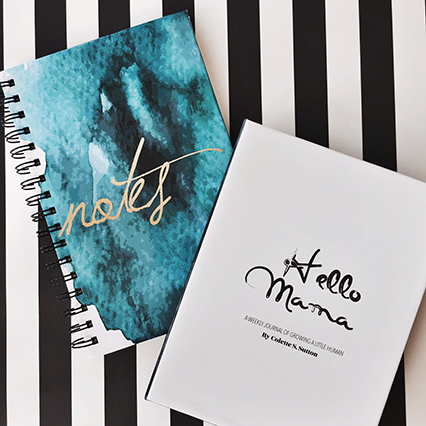 Fast forward a bit & you have Paperlust Studio that now sells baby bump journals, regular journals & soon to launch planners, baby's first year journals & much more! I am such a sucker for a great business that is ran by a strong, go-getter woman that creates beautiful & unique pieces! If you are too, you have got to check out the Paperlust Studio shop. I promise you will thank me! Want a journal of your own? or to buy one for a friend (the baby bump journals are excellent gifts!)? 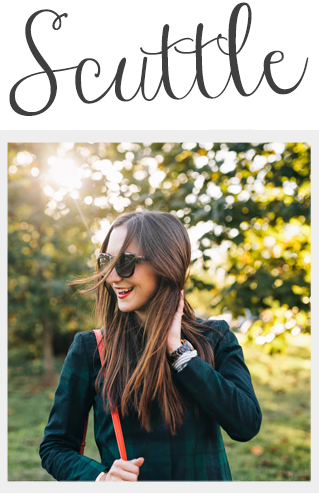 Well Colette is so sweet & is giving all Scuttle readers 15% off!! Just use the code: SCUTTLE15 at checkout & get 15% off your whole order. Below are some photos of the two journals I got from the shop. 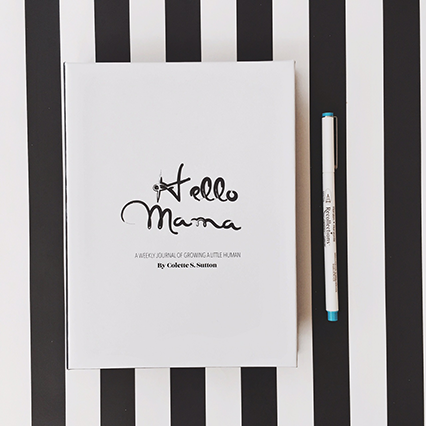 I got the Hello Mama baby bump journal & the Watercolor journal. 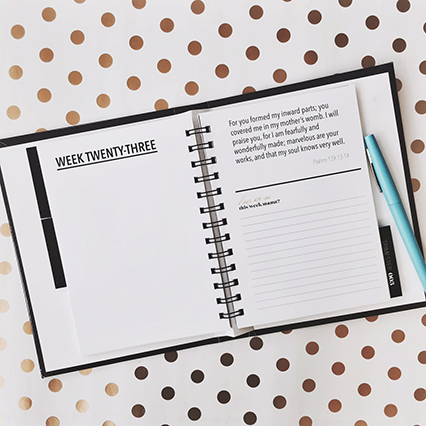 (With the baby bump journals she gives you the option to pick journal, devotional or blank pages for your journal. I went with the devotional pages, so below will show what that style of journal would look like).